If your target audience doesn’t take action, is the piece of content going to have any impact on their lives? 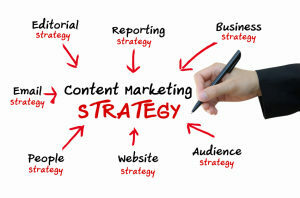 Do you write content that can drive people towards the next step of the journey of the buyer? Does it evoke the engagement which you are looking for? If the answer to all these questions in ‘No’, what should be your next step? In order to stir up your target audience, you have to evoke emotional response which can make them wish for the type of outcome that you yearn for and the action that you want. Here are few secrets to know. Trust is what builds a relationship and hence if you want your audience to follow your CTAs or Call-to-Actions, then you should initially earn their trust. Halo effect is one of the best ways of building online trust through content. This impact refers to the tendency of people to form a positive opinion of something by changing their feelings. When it comes to using the halo effect, you can feature well-known figures or brands which support your brand, feature a CEO who is popular in his expertise and also show how your team is involved with several charitable organizations. As it is heard, storytelling can have an impact on the different parts of human brain and it can also give rise to emotions, particularly when the message of the story is strong and emotional. If you use the story as the basis of the ad, then the target audience is going to relate in the best way possible. There should be an incident, a rising action, some complication, a climax, a reversal, falling action and resolution to the story. The more people share a strong sense of identity, they tend to influence each other in a better manner. In case you can remind someone of his shared identity, this will make the entire thing more persuasive. You can get people in creating something together, use familiar language and references as according to their age and situation. Shared location and ethnicity will be emphasized and there are different other factors which tend to build unity. Did you ever think about the sudden popularity of websites like ViralNova? How did their content go viral within such a short period of time? The secret behind that is the usage of simple formula of headlines for their posts. They just take a news and add phrases like “this made me cry” or “you won’t believe this” so that this intrigues the readers. “What occurs next will blow your mind” is yet another phrase that interests people a lot. Therefore, now that you know the steps by which you can make you content interesting so that you can gain maximum readers, you may use the steps mentioned above. Also remove all sorts of clutter from your content so that the brains of the readers don’t need to shed off too many calories.